Building society mortgages are up to 25% cheaper than mortgages from banks. A study has found building societies are beating banks by offering the best fixed mortgage rates. 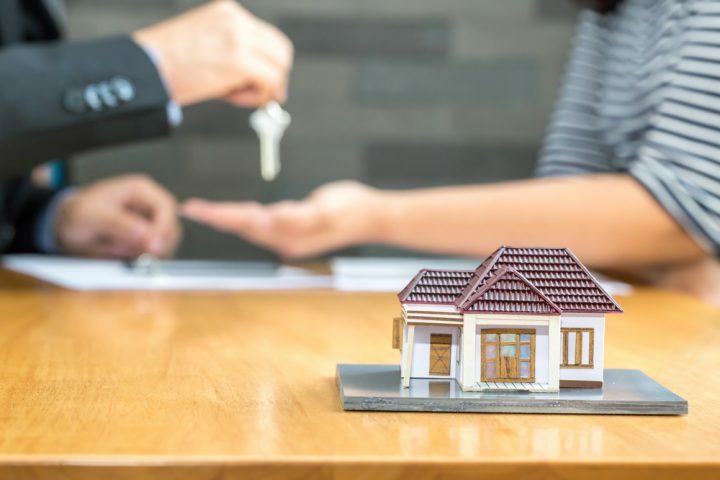 The biggest difference in rates is where borrowers have a 25% deposit and opt for a five year fixed mortgage.UK based short term loan provider, Mr Lender, looks into which banks and building societies offer the best deals. For a two year fixed rate mortgage, building societies are currently offering rates of 1.74% to customers with a 25% deposit. On average, banks are offering the same deal with rates of 2.32%. This difference in rates does not take into account upfront fees which can be higher on mortgages with lower rates. However, even when upfront fees are taken into consideration, the eight cheapest mortgages are all provided by building societies. Finance Expert at Money Facts, Charlotte Nelson, said “at the moment, five out of six two year fixed rate ‘best buy’ mortgages are from building societies.” She also suggested building societies were able to be more flexible with their underwriting, meaning customers with smaller deposits are able to apply for a mortgage. Mortgage rates have been rising since the EU referendum results, as a result of market and economic changes. Mortgage Broker from Private Finance, Shaun Church, claims smaller building societies were less affected by market movements. He said “something like that would have a significant impact on banks, because they are more reliant on capital markets for their funds, whereas building societies tend to lend out depositors’ cash. Which building society mortgages are cheaper than banks? Interest rates and upfront fees vary between banks and building societies depending on the amount being borrowed, the size of the deposit, and the length of time the loan is being taken out for. Although building societies currently offer cheaper mortgages than banks, it is worth using a mortgage comparison website to ensure you are getting the best deal. For buyers with a 5% deposit, the best rate from a building society is currently Mansfield Building Society. They offer a rate of 2.94% with fees of £499. The cheapest mortgage offered by a bank is a two year fixed rate mortgage from TSB. Their rates are 3.48%, with fees of £595. TSB also offer a version with rates of 3.89%, which also comes with £400 cashback. For a 25% deposit mortgage, Yorkshire Building Society have the lowest rates, at 1.2% and fees of £1200. Yorkshire Building Society are also the cheapest for 40% deposit mortgages, at 0.98% and fees of £1700. HSBC were at the top of many ‘best buy’ tables for a long time. They offered mortgages with rates of 0.99%. But on the 8th of December last year, they withdrew many of their deals. They also soon after stopped offering 5% deposit mortgages. More recently, HSBC have caused a stir after announcing the closure of a further 62 branches in the UK. In a recent statement, Nelson claimed building societies were outdoing banks and making their mark when it comes to mortgages. She said “it seems that despite mortgage rates falling to record lows, banks are still failing to compete on cost.” Nelson said building societies are clearly dominating the best buy tables. She said building societies are not just outperforming banks on mortgages with larger deposits. Nelson said building societies are also “hitting it out of the park for those with smaller deposits too.” She claims borrowers taking out a five year fixed rate mortgage with a 5% deposit, could be paying on average £71.98 more each month by going with a bank instead of a building society.